Publishing tutorials are an important part of the IPS Winter School skills training calendar. They will offer participants an opportunity to meet editors and members of editorial boards of leading IR journals, to discuss the work of publishing academic articles, PhD theses and books. Sessions will give participants a glimpse of the nuts and bolts of the editorial and peer review work. They will also be a great opportunity to ask questions about submissions and other topics of general interest to doctoral candidates and early-career scholars. Publishing Tutorials will take place on both Fridays, from 13:30 to 15:00. Apply now! Places are limited to 35 participants per week and will be assigned on a first-come, first served basis. Deadline for application is 18 May 2015. More information on our Writing Seminars! Offering doctoral students and early career researchers an opportunity to develop their transferable skills is a key concern of the IPS Winter School. As part of the sessions devoted to skills training, our Writing Seminars will allow students to debate with faculty members the many styles, strategies and challenges involved in academic writing. It is our pleasure to announce that professors Jimmy Casas Klausen (Week 1) and Mike Shapiro (Week 2) will be leading the sessions on the politics and aesthetics of academic writing. Writing seminars will take place on both Thursdays, from 15:15 to 16:45. Click here for more information about application, fees, guest speakers and planned activities. Author ipswinterschoolPosted on 5 de May de 2015 5 de December de 2017 Categories First Edition, NewsTags application, International Political Sociology, writing seminarsLeave a comment on More information on our Writing Seminars! We are pleased to announce that applications for the 2015 IPS Winter School are now open. Places are limited to 35 participants per week and will be assigned on a first-come, first served basis. Prospective participants should be currently carrying out or have concluded doctoral research in the last 5 years. 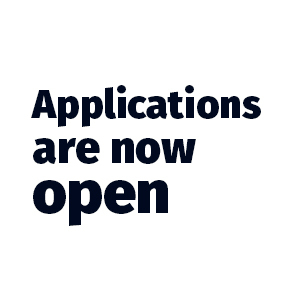 Deadline for application is 18 May 2015. Prospective participants should fill in the Application Form (download here) and email it, along with supporting documents, to ipswinterschool@gmail.com by 18 May 2015. Applicants that fulfill the eligibility criteria will be contacted with payment information. A reduced fee is available for registration paid in full by 10 May 2015. Author ipswinterschoolPosted on 15 de April de 2015 5 de December de 2017 Categories First Edition, NewsTags application, International Political Sociology, RegistrationLeave a comment on Applications are now open!